Hope for the best, but prepare for the worst. When drafting a business continuity and disaster recovery plan, the hope is that the plan never has to be used. But when disaster strikes, and it needs to be used, and it is successful, it’s the best story you’ll never hear about on the news. You’ll never hear about it because when the plan works, credit union business continues on as usual, and further catastrophe is averted. Member data is safe and operations continue with little to no interruption. On September 13, a series of deadly gas explosions occurred in Lawrence, Andover, and North Andover Massachusetts. Governor Charlie Baker declared a state of emergency and Andover Fire Rescue Chief Michael B. Mansfield stated, “It looked like Armageddon.” Thousands of residents unexpectedly could not return to their homes for several days. One of Synergent’s credit union partners, Merrimack Valley Credit Union, is headquartered in Lawrence. Its Operations Center, along with two branches in Lawrence and North Andover, were within the blast zone and without warning had to close and evacuate. While the buildings did not sustain any damage, they were without power for several days. But at a time when the community was filled with turmoil, one thing their nearly 50,000 members didn’t have to worry about was accessing their accounts. While this industry lives and breathes People Helping People, Merrimack Valley CU didn’t need help getting back up and running – because despite this disaster, their systems never had any downtime that impacted member service. While two branches closed, four others in surrounding communities remained open and fully operational, even when the physical Operations Center location closed without warning. From the moment the Disaster Recovery Plan was activated, Synergent’s Business Continuity team and Merrimack Valley CU’s leadership were in contact. In an email to Synergent shortly after the Operations Center closed, Tony Marino, Merrimack Valley CU’s Vice President of Operations wrote, “We have two branches and Corporate closed. Invoked our DR Plan. Let Bill [Ashland] know things are working fine. Thanks!” While emergencies are largely unscripted, the franticness of the unexpected was tempered by having a plan in place, knowing how to activate it, and continuing to move forward in supporting their impacted community alongside their day-to-day operations. Having enacted their Disaster Recovery Plan in a real-life scenario, Merrimack Valley CU and Synergent reviewed the aspects that worked well and identified minor areas that could be improved in version 2.0. Having a plan is not a one-and-done deal. It is a living document that should grow, change, and be reviewed and improved as time goes by. An idea that Merrimack Valley CU’s Tony Marino had was to have a “DR Olympics” event with credit union staff to further raise awareness of what to do in an emergency scenario and award prizes to top finishers in simulated scenarios. You can’t plan an emergency, but you can plan how to respond to it. Synergent helps credit unions develop business continuity plans and procedures to assist in the event of a disaster. Business continuity is the practice of asking “What if…?”, then making plans and preparations accordingly. We offer Subject Matter Expert (SME)-facilitated and supported business continuity planning services to participating credit unions for the creation, maintenance, and testing of robust plans. 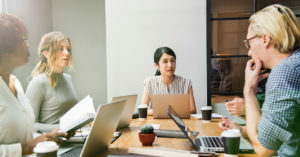 The collaborative nature of the process develops confidence, buy-in, and ownership of the completed documentation, and enhances credit union preparedness. Auditor response to the program and the completed documentation has been extremely favorable, with virtually no business continuity-related audit findings reported by participating credit unions.